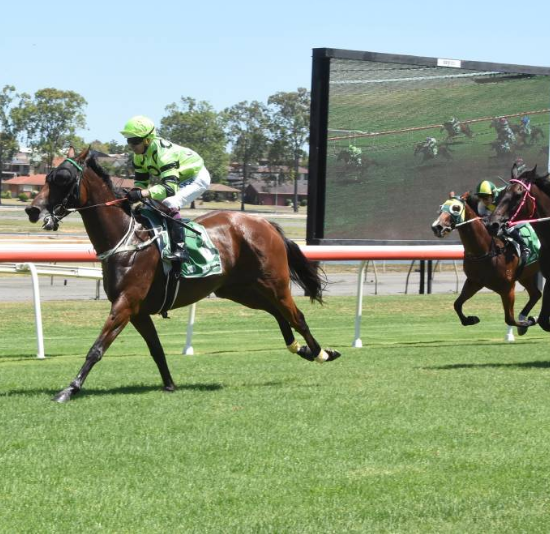 A promising galloper that landed a huge plunge when resuming will be chasing a berth in the second $150,000 Qualifier of the 2019 Country Championships at Port Macquarie next Sunday. Monaco Sniper was having his first run for 10 months at Taree on January 2 and despite sitting three-wide the entire trip, pulled off a $41 to $16 coup, winning with ease. “He had always shown us plenty of ability and it was no surprise to see win him that day,” remarked Taree-based trainer, Wayne Wilkes. Monaco Sniper has since raced twice, finishing seconds at Taree (January 14 over 1300m) and at Port Macquarie (February 1; 1206m). Both were excellent performances after having luck go against him. “We bought him from Melbourne and he’s had a few little niggly problems. That’s why he has only raced on four occasions and is a four-year-old,” Wilkes explained. “He’s been slow maturing and is still learning what to do. He has continued to advance and when he learns more race sense, he is going to be a decent horse. “He is by Monaco Consul (Victorian Derby winner) and his progeny tend to take a while to get going. “I always thought he’d be better at 1400m or even 1600m, so the 1400m of the Country Championships will be suitable. Should Monaco Sniper make the Country Championships Qualifier field, regular jockey Travis Wolfgram will once again be aboard. There’s no such quandary for Wilkes’s Lucciola Belle who is a half-sister (one year older) to Monaco Sniper. Lucciola Belle was freshened before scoring at Port Macquarie (1200m) on January 25 and with 14 starts behind her (two wins and eight placings), she will have the benchmark rating to gain a Qualifier berth. “She’ll head straight into the Port Qualifier and shouldn’t have a problem gaining a start. Last campaign Lucciola Belle nearly landed a $20 into $11 plunge when runner-up to Tristan de Angel in a TAB Highway race at Rosehill Gardens on November 10. Andrew Gibbons guided Lucciola Belle home at Port last time and retains the ride next Sunday. First and second home in the Port Macquarie Qualifier will gain a start in the $500,000 Newhaven Park Country Championships Final (1400m) at Royal Randwick on Saturday April 6. Port Macquarie Race Club has a huge Country Championships Day planned with live music, free buses, free jumping castle and face painting, and a gourmet BBQ with gates opening at 11:30am.